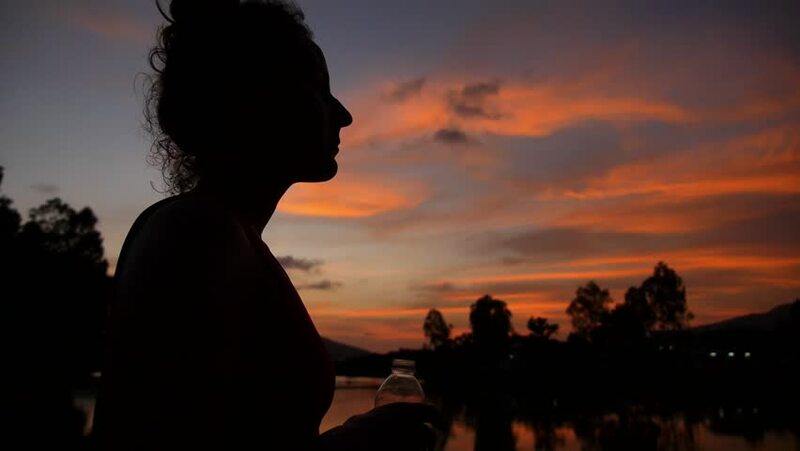 Sporty Woman Drinking Water on Recreation in Nature after Jogging and Hard Training against Sunset. Slow Motion. HD, 1920x1080. 4k00:27Anonymous woman posing in bright sunset light outdoors looking away sensually.